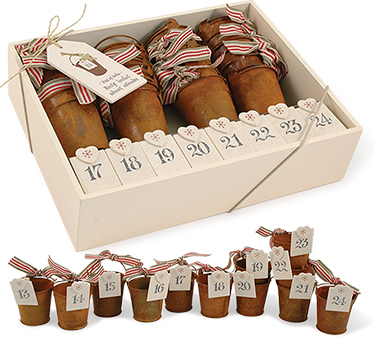 24 little buckets, ribbon, pegs and numberered cards make up a gorgeous advent calender for little treats. Comes in wooden box gift box. 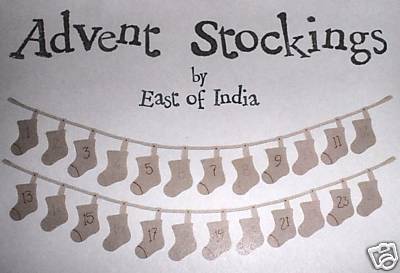 24 lovely linen stockings with red embroidered numbers hang from ribbon to create this fab advent.